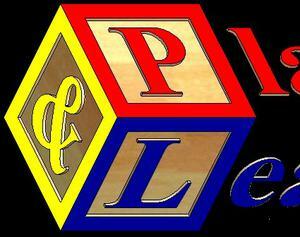 Play & Learn, L.L.C. is locally owned and operated by Lane & Jake Hebert of Scott, LA. Lane earned a Bachelor of Science degree from the University of Louisiana at Lafayette in Early Childhood Education. Since this time she has taught Pre-K at Sts. Peter & Paul Catholic School. During the 2008-2009 school year, which was the school's inaugural year, Lane was honored with the "Teacher of the Year" award. She hopes to incorporate her teaching style into each classroom at Play & Learn. 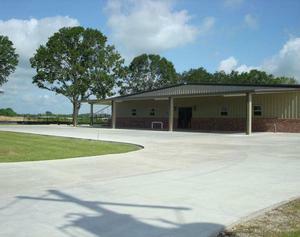 Our facility, is located at 600 Old Spanish Trail in Scott, LA. It has been planned and designed specifically for child care. It consist of 11,600 square feet under cover. Our building has 8,000 square feet, which is used for classrooms, restrooms, a kitchen and an administrative office, with and additional 2,000 square feet of covered playgrounds, that will be adjacent to the 1 and 2 year old classrooms. The remaining 1,600 square feet will be covered parking. Each classroom has observation windows, restrooms, and water fountains. The facility also has over an acre of playground outfitted with new age-appropriate play equipment.